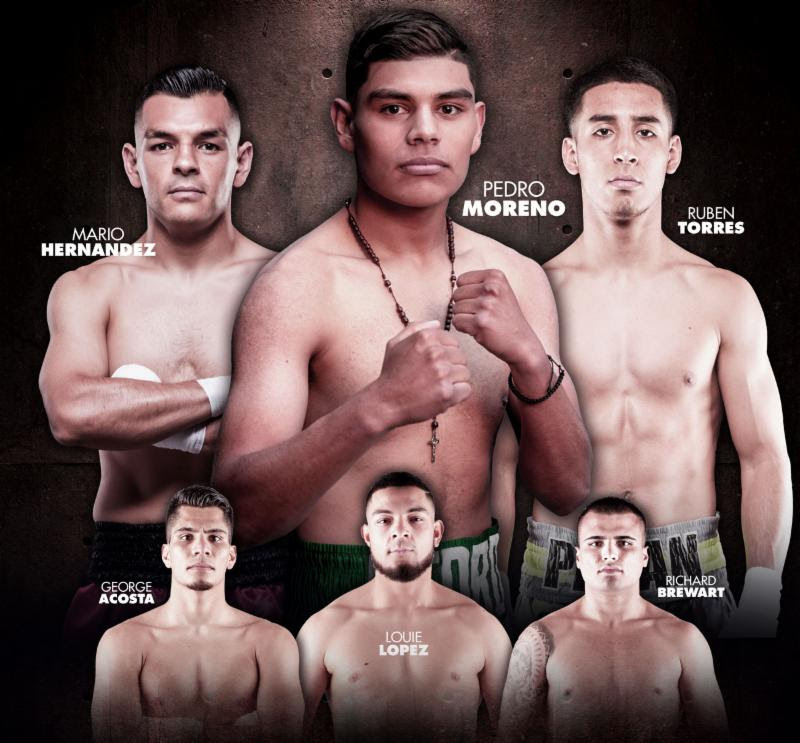 Junior welterweight Pedro Moreno (11-0, 7 KOs) makes his headlining debut on Thompson Boxing’s “New Blood” event on Friday, Feb. 8, from the Doubletree Hotel in Ontario, Calif. The power-punching Moreno faces fellow unbeaten talent Ramon Mascarena (10-0, 5 KOs) in the eight-round main event. Moreno, 21, hails from Sacramento, Calif. and as a 15-year-old, took home the Silver Gloves Championship in the 110-pound division. Moreno, who yielded a 50-5 record as an amateur, was also a member of the U.S. Junior Olympic team. Those accomplishments, while indeed noteworthy, pale in comparison to his most recent development. The graduation to main event status comes after recording four impressive wins last year, the last two coming by way of knockout. Standing in front Moreno’s undefeated mark is the Chilean Mascarena, who is known for his fast starts. To prepare for Mascarena, Moreno, who entered the paid ranks three years ago, has been sparring with unbeaten prospects Andy Vences and Xavier Martinez. In the “New Blood” co-feature, bantamweight Mario Hernandez (8-0-1, 3 KOs) of Santa Ana, Calif. meets Luis Fernando Saavedra (7-6, 3 KOs) of Mexico (6-rounds). Lightweight standout Ruben Torres (7-0, 6 KOs) of Los Angeles will face an opponent to be named later (6-rounds). Local favorite Luis Lopez (5-0, 3 KOs) of nearby Corona, Calif. fights welterweight Adan Ahumada (3-6-2, 2 KOs) of Mexico (4-rounds). Additionally, super welterweight Richard Brewart (3-0, 1 KO) of Rancho Cucamonga, Calif. meets Abel Reyes (4-2, 4 KOs) of Mexico in a bout set for four rounds. Opening “New Blood” is lightweight prospect George Acosta (6-0, 1 KO) of Whittier, Calif. The unbeaten Acosta will fight an opponent to be named later (4-rounds).